Many organizations struggle with the dynamics and the complexity of today's social ecosystems connecting everyone and everything, everywhere and all the time. Facing challenges at the intersection of business models, technical developments and human needs, enterprises must overcome the siloed thinking and isolated efforts of the past, and instead address relationships to people holistically. In Intersection, Milan Guenther introduces a Strategic Design approach that aligns the overarching efforts of Branding, Enterprise Architecture and Experience Design on common course to shape tomorrow's enterprises. This book gives designers, entrepreneurs, innovators and leaders a holistic model and a comprehensive vocabulary to tackle such challenges. The Enterprise Design framework cuts through the complexity of Strategic Design work, explains how to navigate key aspects and bridge diverging viewpoints. In 9 examples, the author looks at the way companies like Apple, SAP, BBVA, and Jeppesen (a Boeing Company) apply design thinking and practice to shape their enterprises. Moving from strategy to conceptual design and concrete results, Intersection shows what is relevant at which point, and what expertise to involve. What’s in it for your domain? The branding community has unterstood since a long time that a brand is more than just what's visible, transforming the identity of a company, organization or service. A well-managed brand comes to life in everything being made, said and done in the enterprise ecosystem. This broad scope of branding work comes with an equally broad set of aspects to be considered as part of that transformation, impacting offerings and markets being addressed, operational processes and organizational structures, as well as human behavior and thinking -- down to the concrete messages, interfaces and things that make the brand experience. The Enterprise Design Framework portrayed in Intersection is meant to be a map of this complexity, enabling to bridge strategic decisions with the actual redesign of enterprise components, visible and intangible. In any project or intiative, you are facing the challenge of determining and defining what it is you want to achieve, build and deliver. The practice of eliciting, analyzing and managing requirements is therefore vital for planning any complex system, be it of technical, organizational or hybrid nature. It requires balancing various stakeholder perspectives, aspects and concerns. In our experience, this is inseparable of design and architecture activities, in the sense of developing a shared idea of the intended results. With the Enterprise Design Framework, Intersection introduces a model helping practitioners explore the problem space and potential solutions with a design-led approach. It enables analysts, designers and consultants to consider key aspects, align professional practices, and to develop a vision of a desirable future state. Designing business models and bringing them to life in an enterprise is about creative inquiry and synthesis to iteratively come to disruptive offerings and new operating models. This is the essence of using a design approach on a strategic level, employing visual thinking, co-innovation with market actors, and empathetic comprehension of customer needs to understand and transform enterprise ecosystems. Instead of isolating these efforts in silos like Marketing, Finance and Operations, such an approach strives for innovation in a holistic fashion. The Enterprise Design Framework portrayed in Intersection is designed to provide a map when generating insights and making strategic design decisions that matter to your enterprise, from high-level abstract questions of brand identity and business processes down to their concrete manifestation in products and services, communication channels and touchpoints, and technical components and procedures. The rapid adoption of Content Strategy practice in different environments shows the significance of content as a cross-cutting concern in the enterprise ecosystem. Content is ubiquitously present on all levels and in every exchange, regardless of its origin or purpose. As a strategic concern, this touches bits of information as diverse as product documentation, marketing materials, trainings, error messages, or internal communications. The Enterprise Design Framework portrayed in Intersection expresses the anatomy of an enterprise in terms of content, services, actors and touchpoints, and connects this broad view with related aspects on the other layers, such as brand identity, business models, information architecture and operational designs. It brings together design work on different levels of abstraction with the creation of tangible outcomes which bring a strategy to live. The experience of a customer spans the entire relationship with a service, brand or organisation. This broad view is the essence of any business: adding value to it's customer's lives with everything it does. And it encompasses all elements that play a role in bringing this relationship to life, including products and services, communication channels, staff behavior, even actors outside your own company but important to your customers. Designing and delivering all these elements in a way that they create rewarding, enjoyable and compelling experiences requires looking at all aspects relevant to the Customer Experience, resulting a broad and complex array of concerns and elements, from business models down to digital interfaces. The Enterprise Design framework portrayed in Intersection is designed to be a map for this journey, bringing together design work on different levels of abstraction with the creation of tangible elements that appear in your customer's journeys. Enterprises of all forms and sizes are facing the challenge of integrating Design as a competency into strategy, management and operational practices. Putting design in such a tight framework bears the risk of sifling its creative potential. Without such a deep integration however, Design easily becomes a mere afterthought to product development and business planning. The Enterprise Design framework portrayed in Intersection is about bringing design to a strategic level, making use of high-level design approaches such as User Experience Design, Service Design, Design Thinking and Enterprise Architecture. It is about embracing the complexity of enterprise ecosystems, and aligning the different aspects, views and disciplines involved to understand the enterprise as the playing field of an integrative and holistic design practice. Design Thinking is an approach to achieve innovation, based on the idea that creative inquiry and synthesis -- the essence of a design approach -- can lead to Innovation regardless of the topic, domain, or problem being addressed. The Enterprise Design Framework and approach is based on a similar thinking, and attempts to take design practice to a strategic level. It aims to make the choice of outcomes a first conceptual design problem to be tackled, not a predetermined constraint. It promotes a design-led approach to get from game-changing Big Picture decisions down to the Rendering of a transformed enterprise in visible results, using conceptual design decisions as the bridge, and managing the professional disciplines involved. While often approached primarily as a technical challenge, the implications of social networks and new workplace tools or environments are not technical in nature. People working from anywhere in loose arrangements, collaborating with peers from all over the world, are signs of an ongoing shift towards a more dispersed and dynamic economy. For the enterprise, this means a new kind relationship to people contributing to its endeavors, as employees, partners, investors, or in other roles. It is about rethinking the systems and channels used to facilitate collaboration, together with the way it reaches out to customers and prospects. The Enterprise Design framework portrayed in Intersection helps to map the aspects to consider when planning and designing your evolved enterprise, from the high-level enterprise architecture, brand culture and stakeholder experience down to tangible tools, environments and media. We understand the task of architecting the enterprise as a matter of alignment, communication and abstract thinking, resulting in a plan for change in the way the enterprise is structured and functions. In this view, (information) technology is just one of the many domains to look at, and it's the intersection between these domains that holds most insight. The Enterprise Design framework integrates this broad idea of Enterprise Architecture with a design-led approach to innovation and transformation. It is about getting from strategic choices and conceptual architectures to the design of outcomes visible and usable for people, becoming the tangible evidences of an evolved future enterprise. Concerned with the design of shared information environments, today's Information Architecture challenges go well beyond the web, the screen, and even the digital space. People's particular journeys cross the boundaries of tools, devices, and environments, and so must design practice when organizing and structuring information to reshape experiences. This requires us to take design to a strategic level, where the intangible and complex mix of goals, processes, structures and values take center stage. Such a conceptual design sets the foundation for any concrete manifestation in media or tools, by defining their role within the larger system. With the Enterprise Design Framework, Intersection introduces a map of the intertwined aspects to consider when designing for such complex environments, starting with strategic considerations and translating design decisions on information, interactions or content into usable systems. Many Interaction Designers realize that in order to design interactions on an experiential level, looking at the behavior of devices, software systems or interactive media is not enough. People interact with organizations, with brands, with complex systems, and with each other. As we move from shaping interfaces to shaping behavior, this means we are designing on a much larger scale, appreciating the strategic significance of our work for our clients: the interactions we are designing make their business.... of aspects is entering our practice. We have to work with services, cultures, ecosystems, business models, and enterprise architectures. These conceptual design decisions are the foundation for any concrete manifestation in tools, by defining their role within the larger system. With the Enterprise Design Framework, Intersection introduces a map of the aspects to consider when designing for such complex environments, translating design decisions on information, interaction or content into usable systems. One of the most significant contributions of Service Design to the wider practice of Design is the idea of designing services as the greater whole, implementing them artifacts, media or environments according to the role of these elements in the intangible design behind. Designing and delivering services holistically therefore means transforming organizational structures and culture, operational processes and brand touchpoints, technical components and business models. The Enterprise Design framework portrayed in Intersection is designed to provide a map for this journey, bringing together work on different levels of abstraction with the creation of tangible outcomes as evidences of an evolved enterprise, and paving the way to the strategic relevance of professional design practice across the domains involved. Design as a practice is deeply grounded in the idea of changing the world for the better, using the outcomes it produces to transform people's lives, and the way they interact with their environment and each other. Achieving change on such a large scale is all about enterprise -- the disposition and willingness to inquire a complex problem space, and relentlessly strive for the best possible outcomes. Any design project serves such an enterprise, and every enterprise can employ design practice to discover its future and transform its ecosystem. This involves looking at all relevant aspects of the particular design challenge at hand. The Enterprise Design Framework is designed to be a map of those aspects to consider, starting with strategic considerations and translating conceptual design decisions into tangible outcomes that make a transformation happen. Experience is one of the most fundamental strategic choices an organization has to face. Designing for experiences of customers, partners, staff or other stakeholders is about defining the role the enterprise plays in the lives of people it addresses. Its offerings, services, processes and systems are fulfilling a goal that can be expressed in experiential terms, in the way they are transforming people's experiences. Experience Design consequently is about much more than someone using a device -- it touches all activities and parts of an enterprise. The Enterprise Design framework connects this thinking to applied design work. It brings together practices such as Service Design, Information Architecture and Interaction Design, but also other aspects such as Brand Identity, Business Models and Enterprise Architecture. Looking at the enterprise level means understanding one's work in terms of the larger system—both as context for design work and the subject matter to be transformed in the design process. This book is for everyone involved with designing at that level and scale. Intersection is especially for you if you are not exactly clear about what it is called you are doing, always struggling with your official job title, or always creating your own roles. For some of us, this ambiguity is a part of our professional lives, and actually serves us well when navigating the complexity of an enterprise environment. This book is meant to be your guide on that journey. This section contains free materials from Intersection for you to use in your projects, presentations or articles. Download the canvas set to consider all aspects of the Enterprise Design Framework in your strategic design work. Shows and briefly describes the 20 aspects of the Enterprise Design Framework. Download the icon set from the Enterprise Design Framework. You may use them at will in your project work, or with attribution in your public presentations. If you are reading Intersection or have read it already, please help us spot errors and typos in the book in order to to correct it for upcoming editions. Please email errors@intersectionbook.com with any correction or suggestion you have. Have a sneak peek into the book on Google Preview. 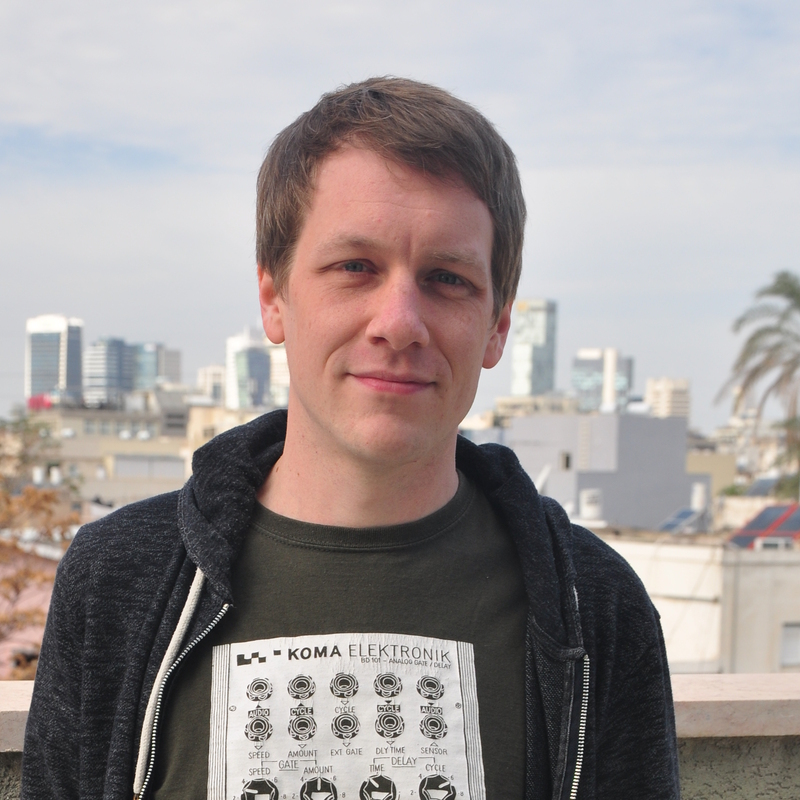 To read Milan Guenther's book Intersection is to glimpse the future of design: holistic, collaborative, and networked. A rich presentation of a very rich subject. I am impressed by the thoroughness and thoughtfulness of this major piece of work. 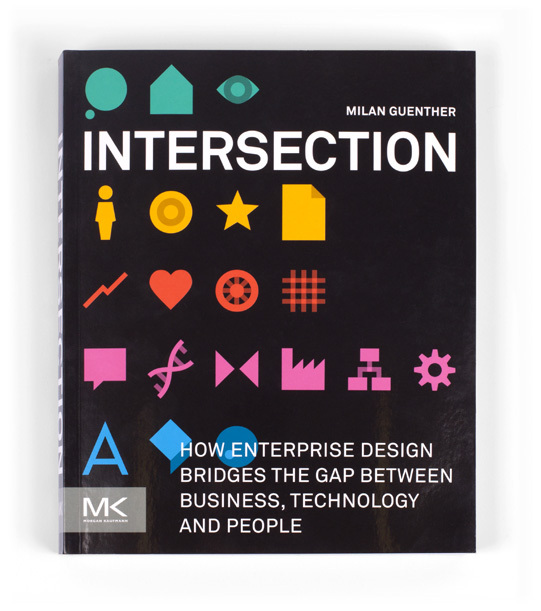 Intersection marks Milan Guenther as a major contributor to the Enterprise Engineering, Design, and Architecture body of knowledge. Intersection is an aptly named book, both in its content and the evolving world of leading innovation that it describes. This book explains why new programs like ours are changing the form, content, and purposes for business education. Businesses need to challenge and rethink nearly everything about their processes, procedures, strategies, and cultures in order to successfully lead into the future. Intersection is a landmark book on how to design enterprises in today's hyper-connected world. Founded on the relationships between identity, architecture and experiences, Milan Guenther's work explains both the change in mindset and practical approaches that are needed for success. If you are still designing your enterprise from the inside outwards, Intersection will convince you to think again. If you are already designing your enterprise outside-in, use this wonderful book to validate your work. If you think that words like cross-channel, ecosystem, or bridge experience have no place in the world of large-scale corporate strategies, this is the book for you. Intersection reframes enterprise-level design challenges through the lens of complexity, and provides us with a thorough interdisciplinary framework and a holistic approach to Enterprise Information Architecture that bridges business, technology and people into one seamless, dynamic design process. A must read. This innovative book will give you a clear vision of organizations as interaction-driven businesses. Reading Intersection will enlighten you with deep insights into how to manage design in our contemporary world. First, you will understand that all large-scale design projects have an impact on organizational design and need to be managed as such: as Enterprise Design projects. Second, this book conveys — what most business people avoid to see — that any enterprise starts as an abstract intangible concept, but will only come to life through tangible signs, things, and places. Third, you will understand better how designers think in systems, what is holistic thinking, and how design skills are useful for managing the interaction between all stakeholders by aligning identity, architecture, and experience of your enterprise. Sustainable enterprises increasingly depend on a process incorporating interdisciplinary knowledge on both strategic and operative levels. This book merges valuable insights from various perspectives into a holistic framework. Milan Guenther's Intersection marks a shift in the role of Design (with a capital D) in business: no longer can enterprises do without designers and design thinking — they are essential to business success. Milan takes us through a comprehensive range of topics that stand at the crossroads of business, technology and design — a rollercoaster of ideas well worth the ride. Intersection does more than build a bridge; for the first time a book aligns the full spectrum of design with every possible traditional discipline and clearly shows how adopting a design approach not only improves traditional processes but also adds a human side to business transformation which is sometimes forgotten. Intersection is a very thorough, complete and useful piece of work. I recommend it. Finally someone had the guts to write a UX Design-related book that doesn't start from scratch. Intersection is a multifaceted book for a diverse business — and who else would be better to understand complex problem spaces than Milan Guenther? Having a deep understanding of multilayered information systems, Milan takes us on a journey through goals and needs of modern enterprises — from a strategic design point of view. Providing many valuable case studies and answers, this book should be on the reading list of every senior UX Designer. Milan Guenther provides a broad, deep and extremely well-thought through discussion of Enterprise Design, the design process he developed with his colleagues at eda.c. His work truly lives up to the ambition (expressed in the book's sub-title) of "bridg[ing] the gap between business, technology and people." It is particularly valuable that Milan addresses the often messy realities many of us face working in and with large corporations. Intersection is available as a paperback, or as an eBook in various formats. It can be ordered from most online book stores worldwide, or directly from the Morgan Kaufmann publishers (an imprint of Elsevier). Milan Guenther is a founding partner of the enterprise design associates – eda.c, a European strategic design consultancy created in 2009. Milan has a rather mixed background, graduated in Communication Design at the Fachhochschule Düsseldorf (Germany), and holding an MBA specializing in Business Information Systems from the Institut Supérieur du Commerce in Paris. Having worked as a Freelancer most of his professional life, he touched the many areas related to Experience Design, Branding and Enterprise Architecture, and has been a popular speaker on international conferences on these subjects. He is living in Paris, or wherever his project work might take him.